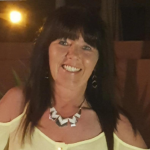 Hi my name is Mary Gannon (molly's daycare) i have been a registered childminder for 15 years before that i worked at a junior school helping out in the classroom and playground supervisor . I have three grown up children and three grandchildren age 15 and 6 years and youngest 3 years old , i share my home with my husband who has also been CIB checked . I also have a 31/2 year old morkie she is not allowed in the same room as children .. I have also had experience working in a nursey doing cover for sick and maternity leave.. On 24/03/2011 ofsted inspected grading was "good"
I have worked with children of all ages including young baby's , while doing inclusion work which is goverment paid restbite for parent's i have looked after a downs syndrom child who comunicated by sign laungage and children with behaviour problems which i found challenging but very rewarding . up till last year i had the privilege to be trusted to care for a wonderful little boy for 31/2 years till going into special needs school he has cerabal pawsy he is partially sighted and has epelepsey I looked after him from 6 months old once in school i had him before and after school till moms hours was reduced at work due to her own health problems but I still keep in touch with him and visit as he was like part of the family . Fee's vary according to requirements . Below are the latest reviews for molly. Please note that reviews represent the subjective opinions of other Childcare.co.uk users and not of Childcare.co.uk. Parents must carry out their own checks and references on childcare providers to ensure that they are completely happy before enaging in the use of their services. Mary has looked after my 3 year old boy and 1 year old girl for the last 4 months, only having to leave as we are moving out of the area. Both my children have loved going to her and sometimes refuse to come home when I pick them up. they are really going to miss her. Mary cared for my son for approximately 3 1/2 years. My son has additional mobility and health needs; cerebral palsy, epilepsy and visual impairment. Mary was always aware of his needs, she treated him with respect and as an individual. She always gave me a daily update, exposed him to new activities and always tried to include him in all activities. There was never a time when I felt my son was unhappy or unsafe being in Mary's care. She always followed her professions procedures and due to my son's needs were implemented at times.